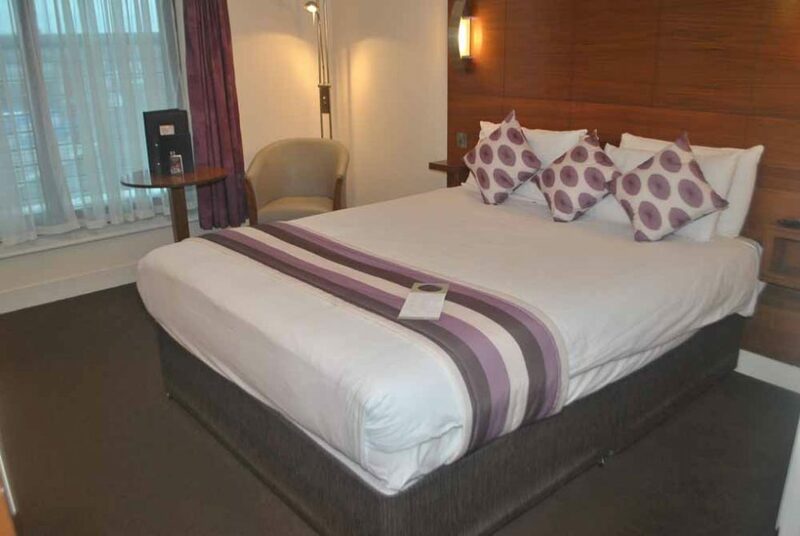 Preston International Hotel is an impressive modern building, ideally located close to the ring road, and within easy reach of the M6 Motorway, making it the perfect accommodation base for both business and leisure. 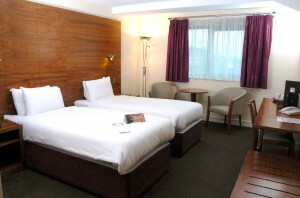 Offering stylish, contemporary surroundings, Free Wi-Fi and competitive rates seven days a week; this hotel is exactly where you need to stay when visiting the North West. 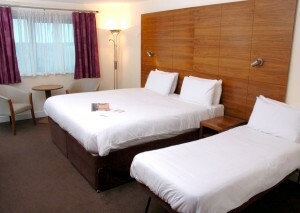 Each of our 75 modern city rooms offer en suite facilities with comfortable surroundings. 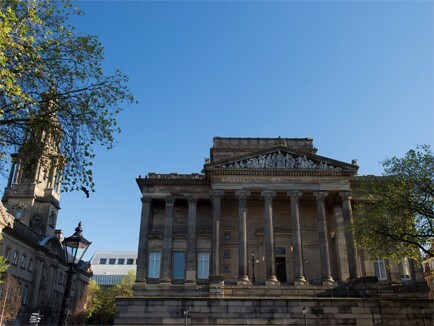 Preston is a vibrant and exciting city, rich in history, culture and attractions, nestled in beautiful open countryside and in the heart of the county of Lancashire. The buzzing activity in the city centre is linked to a broad and eclectic mix of shops, bars, café bars, pubs, restaurants and theatres. The Market Square in front of the Harris Museum and Art Gallery, a Grade I listed building, hosts a number of events and activities throughout the year. Start each day with an all-you-can-eat breakfast buffet, featuring traditional cooked options. In the evenings you can unwind with a drink in the open plan Cafe Bar, set on the ground floor. If you are using a SatNav use postcode PR1 8RH which will direct you to Leighton street, proceed to the end of the road the turn left onto Marsh lane, the hotel is less than 100yrds on your right. 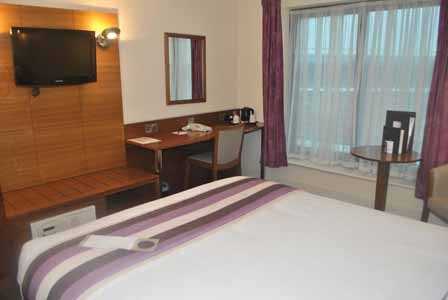 Free Wi-Fi ,Tea & Coffee making facilities, Direct dial telephone, Iron and Ironing board, In room safe (free of charge), Flat screen TV with freeview. 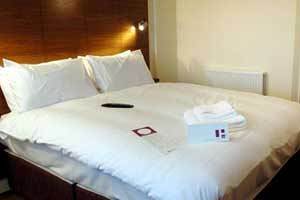 Each room can accommodate up to 2 adults & 2 children and offer free Wi-Fi ,Tea & Coffee making facilities, Direct dial telephone, Iron and Ironing board, In room safe (free of charge), Flat screen TV with freeview. The Brunel Room, located on the lower ground floor – with lift access – offers a full hot & cold buffet breakfast daily for hotel guests, conference delegates and local business people; including a varied selection of cereals, chilled fruit juices, fruit segments and bakery goods – all available from our buffet servery along with a full breakfast. 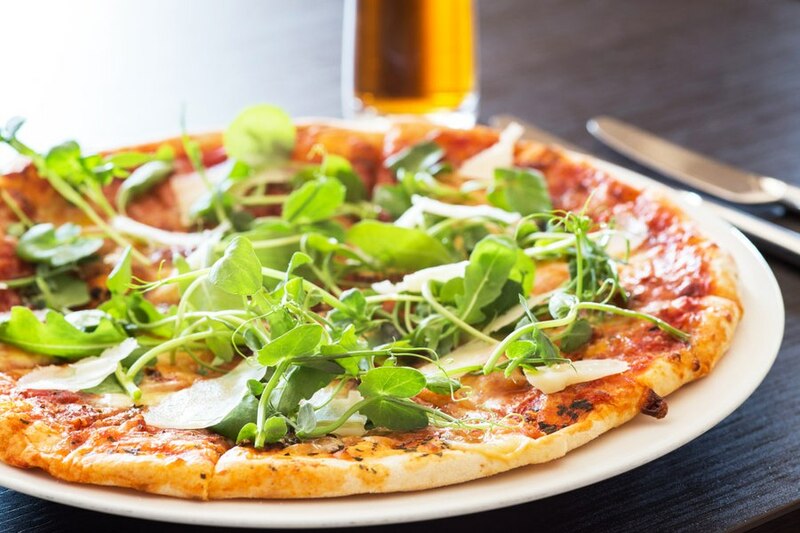 From mid-morning though until the evening, take advantage of our Cafe Bar, with an extensive menu served in the light and airy surroundings of our open plan lounge, close to the hotels reception and meeting room facilities. 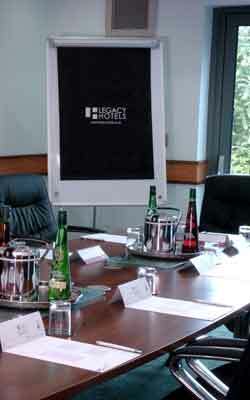 At Legacy Hotels we understand the need to deliver great meetings with ease and style. 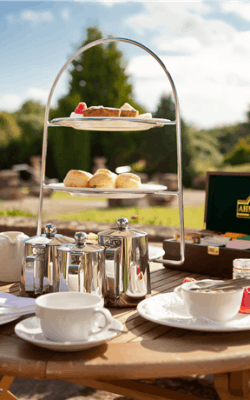 We have extensive experience in working with you to ensure you have the right facilities, the right refreshments, the right service and support for your style of meeting. 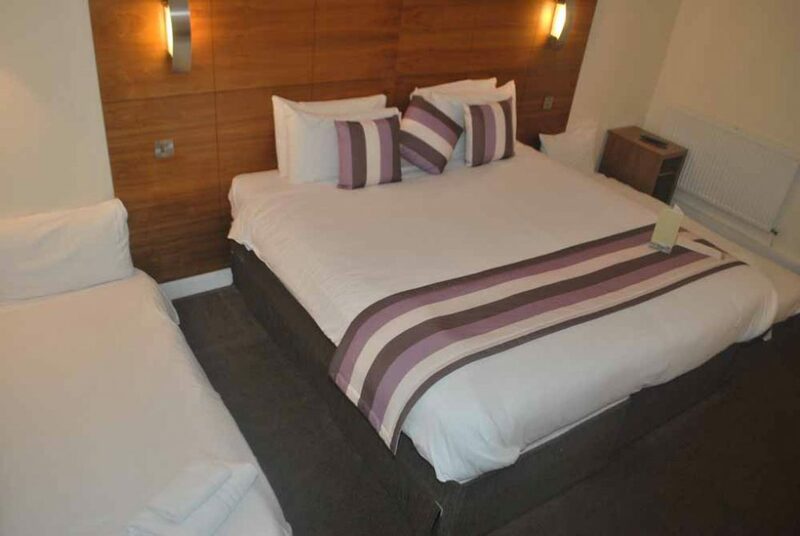 Preston International Hotel will offer flexibility to deliver just what you need for your next conference or training course, offering good value accommodation in order that you can hold your next business meeting under one roof. 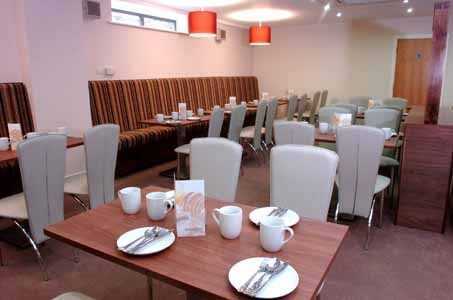 Our aim at Preston International Hotel, is to make your life easier when organising your meeting or training course.  Whether you require assistance with the hotels technical equipment, additional stationery or just a helping hand, a member of staff will be there to help. After a hard days work, you can wind down within just a few feet of your meeting room. 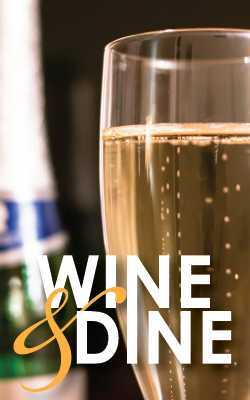 Enjoy a relaxing drink with friends and colleagues in our open plan bar & lounge, located on the hotels ground floor. 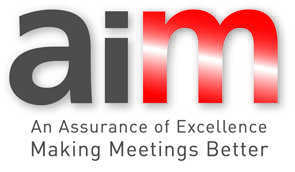 Preston International hotel has secured the much sought-after AIM accreditation from the Meetings Industry Association (mia). 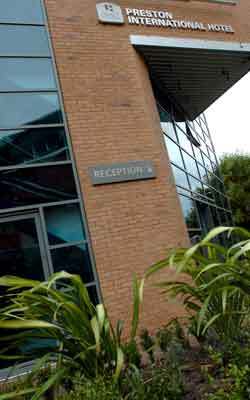 Preston International hotel in Preston has achieved silver status from the UK’s nationally recognised standard for service providers in the meetings, conferences and events industry, after a panel of independent industry assessors scrutinised the venue against a robust checklist of criteria. The process includes legal compliance, accessibility and quality checks of its facilities as well as its customer service proposition and experience, ethical codes of conduct and best practice standards. ” Jane Longhurst, chief executive, the mia said: “We’re delighted that Preston International hotel is the latest venue to secure silver AIM accreditation. The iconic status acts as a guarantee to buyers that they’re choosing a service provider that cares about best practice and actively strives to meet and exceed your expectations. 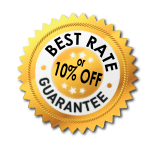 With so many dedicated conference centres and hotels, sporting and academic venues to choose from nationwide, it oﬀers a smart method to quality control your selections that could ultimately save you time, anxiety and reputational risk later down the line. Casino Nights – Will you use your wit? Or will you just rely purely on luck? Fun Casino Nights are ideal for some evening entertainment to try something new! Indoor Team Building – Challenge your team to an exciting afternoon of fun, development and excitement, whatever the weather. Since 1893, The Harris has enriched the lives of visitors and the local community by creating links between people, collections and exhibitions, by celebrating creativity and stimulating learning … something that continues today! The vision is to extend their reputation as an outstanding museum and art gallery that is distinctive, ambitious, audience-focused and open to change. Distance from hotel 0.8 miles. 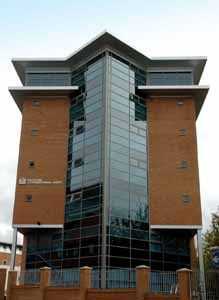 Preston Guild Hall Entertainment Complex is dominated by 2 fantastic venues that hosts on average 300 events per year. The Grand Hall Arena was designed as a prestigious concert venue seating over 2000 guests. The Charter Theatre is a smaller venue with a much more traditional theatre ambience seating 780 guests. Distance from hotel 0.9 miles. Hidden away in the heart of Preston’s old Industrial Docklands. 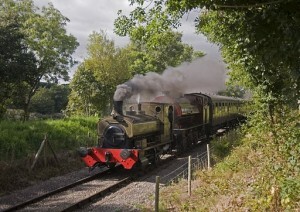 Whether you are a keen steam enthusiast, or just simply looking for a fun and relaxed day out, Ribble Steam offers a memorable experience of Lancashire’s world famous Industrial heritage. Visit the museum discover the history of Preston docks and the story of the first electrical trains. Distance from hotel 2.9 miles. Fired 4 U the paint your own pottery studio welcomes all ages to come and enjoy many ceramic based activities in their Studio in Walton le Dale, Preston, providing you with fun and relaxation all at the same time. Distance from hotel 2.5 miles. 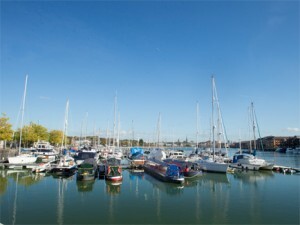 Preston Docklands is a popular place for business, leisure, entertainment and shopping. It was once Europe’s largest single dock basin. The new £4.5 million Ribble Link is the first canal to be built for 100 years and connects the dock to the Lancaster Canal and the national waterways network. Distance from hotel 1.9 miles. The Fleet of race karts are geared and tuned to reach speeds up to 70mph. All lap times are relayed back to race control and the pit lane so you can monitor your driving skill in comparison to the other drivers in your qualifying sessions. Distance from hotel 1.6 miles. A Country Park with 185 acres of extensive conifer woods and moorland. Visitor Centre with cafe, picnic areas, 6 car parks, forest walks and viewpoints. Distance from hotel 11.1 miles. 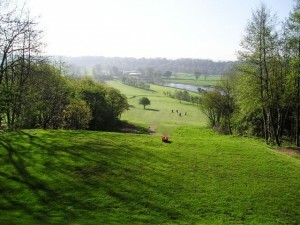 Ideally situated just two minutes from junction 31 on the M6 Motorway, Fishwick Hall Golf Club offers an interesting 18 hole golf course suitable for players of all levels and ability, which coupled with an excellent clubhouse and facilities it makes an ideal venue for visitors. Distance from hotel 2.5 miles. Sprawling across the five floors of Canal Mill in Chorley, Lancashire is a fantastic shopping centre experience that’s not to be missed. Botany Bay is full of the finest brands in clothing, furniture, homeware, gifts and crafts – all at unbelievable prices. Take your time and take in everything Botany Bay has to offer, from a garden centre and spectacular Christmas shop to exciting food halls and restaurants. There’s even fun to be had for your little ones in Puddletown Pirates play centre while you shop. Distance from hotel 11.1 miles. Thrill-seekers can brave the white-knuckle rides of the Pleasure Beach, from the iconic Pepsi Max Big One to the traditional Grand National, or slip and slide through the world’s longest indoor indoor rollercoaster waterslide, the Master Blaster, at Sandcastle Waterpark. 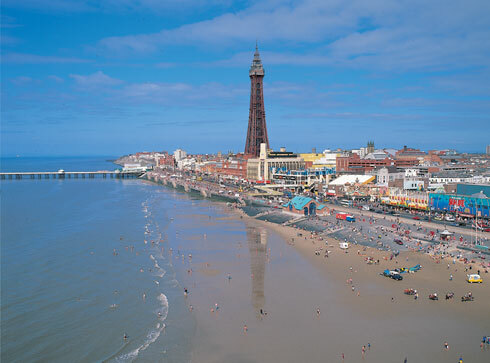 For a trip down memory lane, the Blackpool Tower Eye, with its 4D cinema and SKYWALK, is an awe-inspiring exploration of the city’s history coupled with exhilarating views from the floor to ceiling glass observation window. From 380-feet above the Promenade, you can descend to the depths of the Blackpool Tower Dungeon, where expert performers will regale you with their very own horrible histories of plague and torture. And don’t forget the Blackpool Tower Circus, with everyone’s favourite clowns, Mooky and Mr Boo. Animal-lovers can head to Blackpool Zoo for a day of family-friendly fun. There are more than 1,000 mammals, birds, reptiles, and invertebrates to see across the 32 acres of spacious natural enclosures, and plenty of space for kids to run wild. Distance from hotel 18.3 miles. Programme any Sat Nav device with ” Leighton Street”, and at end of road turn left on to one way system, we are on the right hand side. By Road Leave the M6 Motorway at Junction 31 or 32, depending which directon you are arriving from, and take the A59 Ring Road. 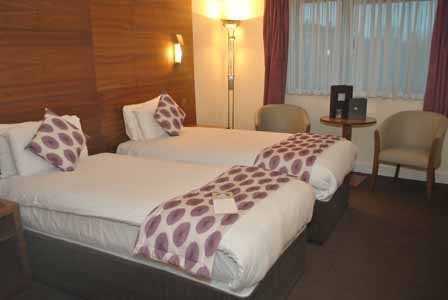 The Hotel is less than 3.5 miles from the motorway junction. 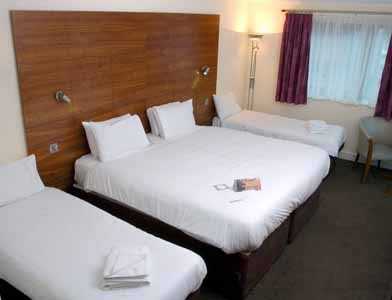 Preston Train Station is 0.6 miles from the hotel, and a 10 minute walk. 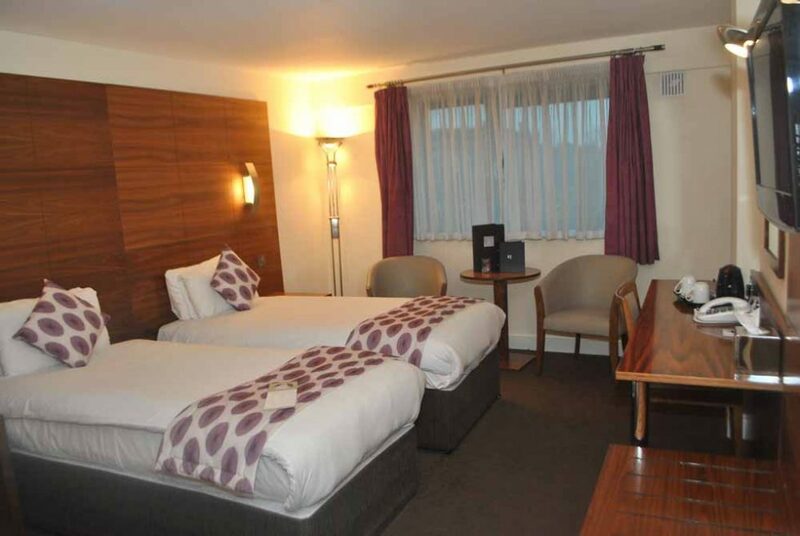 Manchester Airport is 41.9 miles from the hotel, and a 50 minute drive.